The Diva's Weekly Challenge #213: "Traced Object Strings"
Ok, I made it simple this week by tracing around a domino piece. 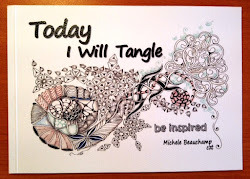 Alice and Jane have started a new Facebook page called Zentangle - Stacked and Tangled. 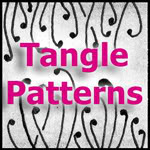 Alice says that tangled stacks are rows of tangles that go in the same direction and touch. They may be vertical, diagonal, horizontal, circular, or semi-circular as long as they touch. My dominoes are falling off their stack but that's what dominoes do!!! I like this 'falling' idea!! Just when I was thinking, Oh yes, this works really well for grid based patterns, I spot Nzeppel lurking top left, so, clearly, it works for fluid patterns too. Anyway, I like this a lot, especially the way colour is there but subtly. Thanks, Michele, I'm off to have a look on Facebook. I like your interpretation of this theme, great shading! thank you so much for linking to our new facebook group! you're the best! and your dominoes make for a wonderful stack! Thanks so much, Michelle for the mention! We love the work you have submitted for our page. 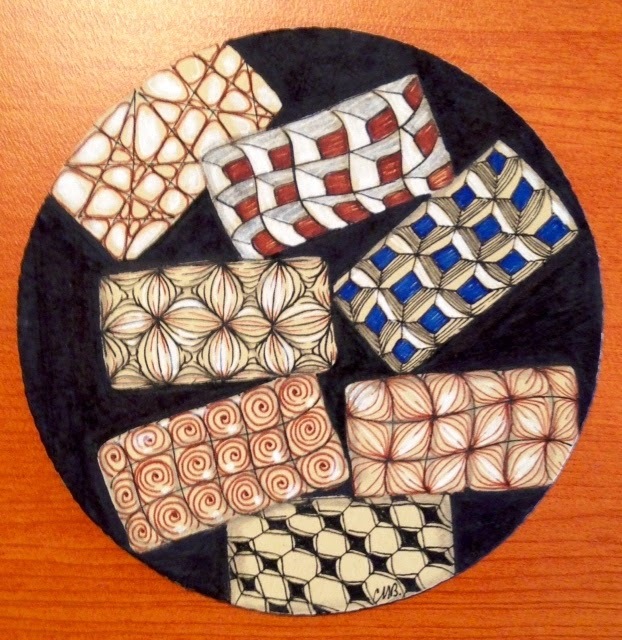 Me so much so, that I tried out one of your circular stacks on an Apprentice size tile and just posted it. I know you used Opus, but I have none of those and thought baby steps would be best to get started. Thanks again! Beautiful tile and I love how the black background makes it stand out! Great response to this challenge. I love how you did the unexpected with rectangles and grids on a round format. I love how your mind works! What a brilliant idea for the tracing challenge! Love the treatment on the black mandala tile and the dimensionality of the dominoes! Beautifully rendered and am loving those renaissance colors! Gorgeous! I love your falling dominoes...nicely done! I love stackers and you have made a really nice composition using that idea.